My Puma Night Run 2017 [12km] (by Lingderella) | JustRunLah! 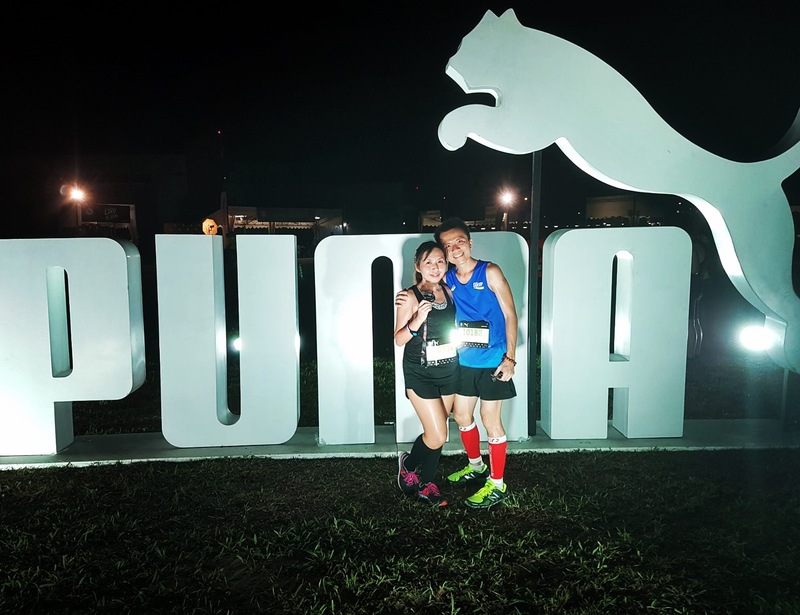 This is my first Puma Night Run 😍 There is 6km and 12km distance for individual, group of 2 or group of 4. I participated in the 12km individual category. It’s a little bit siao the race village opens at 3pm and flags off is at 7pm 🤣 3pm is a timing that I can link with some scary words such as “hot”, “chow tar” and “Sun” 😭 Ok lah, as long as the organisers got activities to entertain participants who don’t mind to get roasted by Sun can reach there early and go to the booths for the activities to get the LED wrist band and LED shoe lace 😍 I very gian the wrist band and shoe lace actually but thought that it will be given out finished by the time I reach. 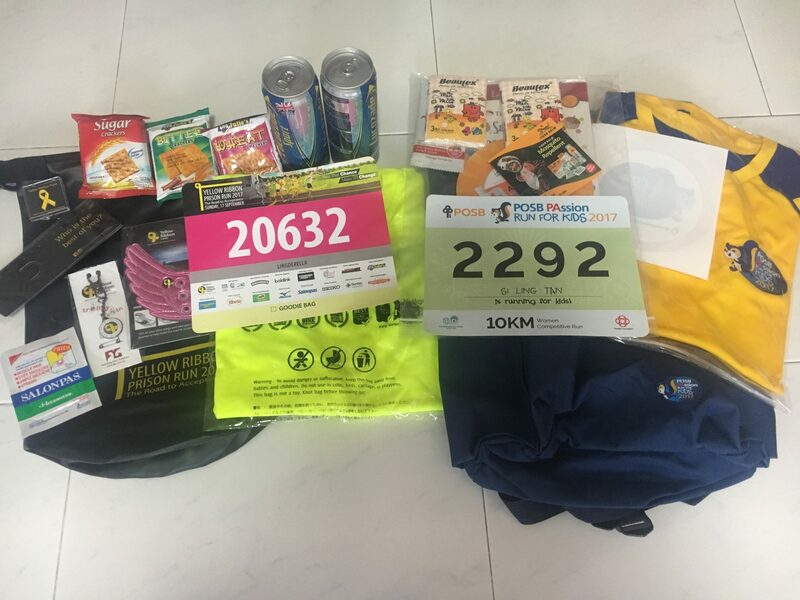 Sibeh tired already for my busy day and just reach in time to the race site for flag off. 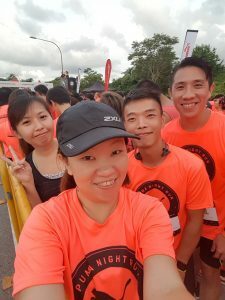 Flag off is on time and amazingly I still got the strength to run after a tiring day. 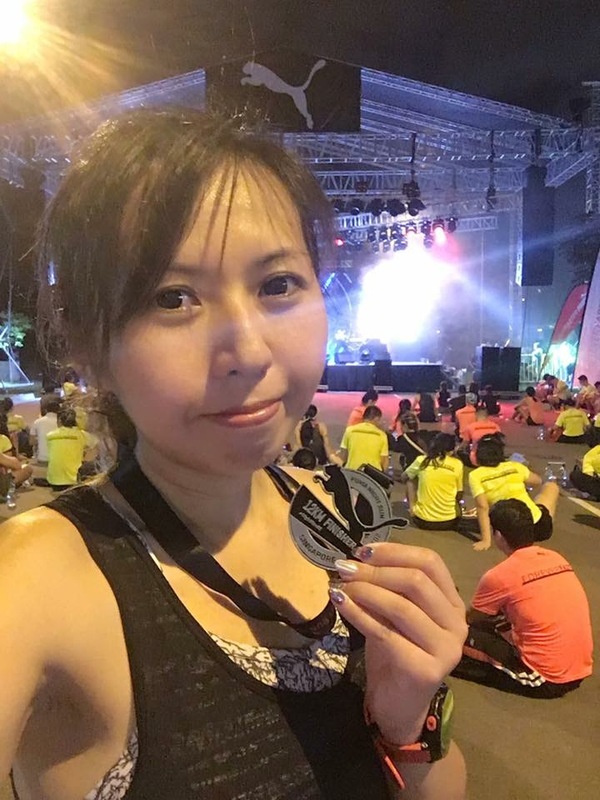 The route of 12km is shorter, I finished the 11.6km in 1hr11mins as per my Garmin. Willis too, after a 10km run already in the morning I can see he can still chiong but he runs with me 😊 He said the Runners League is very poorly Organised and they cancelled on the shuttle bus last minute and many runners have to walk all the way from GBTB east back to Satdium MRT. The hydration points is quite far apart and there’s only the not cold plain water along the route. Just the part of the route at the last uturn point at 9km is messy, as I think the route is diverted wrongly, runners running back were in the most innerlane but there’s a route the the most outer right lane barricade by the road has nobody running on it to matter to or fro. Runners heading back in the end have to cut across the runners running in opposite direction to run on the road that is barricade up for runners to run. The road is not nicely diverge for the runners. There was not much runners back yet. 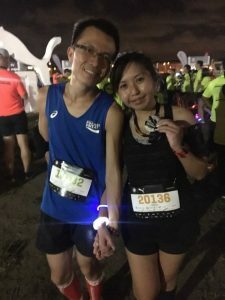 Went to take a few photos and suddenly remember the Puma LED wrist band! 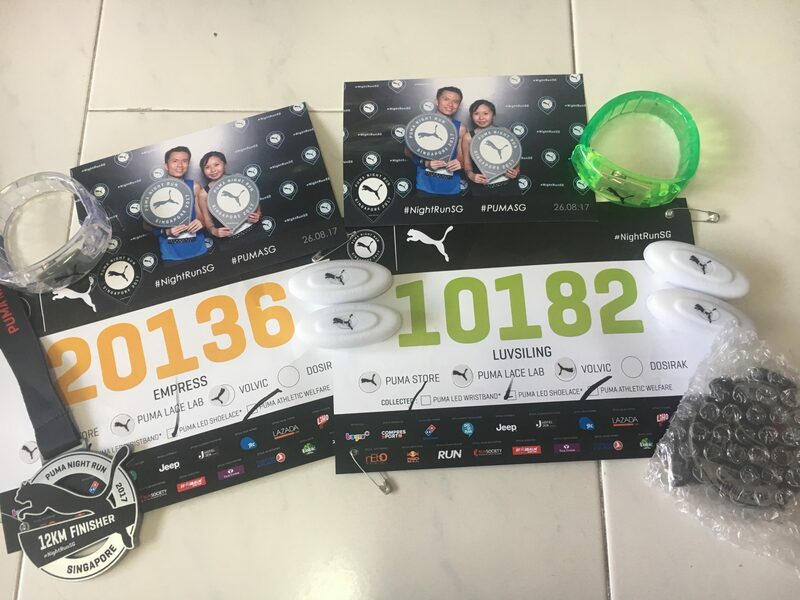 When we head to the tentage, are still giving out the wrist band. Lucky us! I guess there were only about less than 50 wrist bands spread on the table and if we were a little more late, no wrist band for us. Phew! Get to choose the colour from blue, green, red and white. Then we thought might as well try to see if we can get the LED shoe lace. 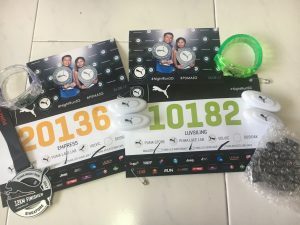 There is total of 4 booths to visit but we only visited 3 and participated in their activities such as posting picture of their products on Instagram which I think many people will delete straight away after that 😂 Though we only visited 3 booths, they still give us the LED shoe lace though the volunteer tell us we should have gone all 4.